Last night I was writing a paper. Just trucking away. I'd already gone through my distracted hour or so and I was back on track. 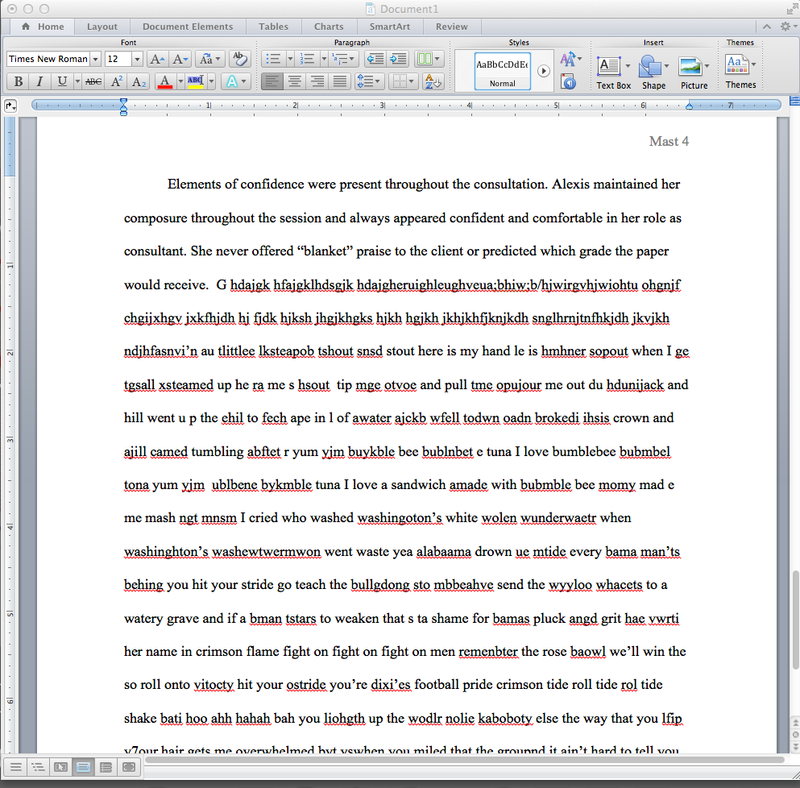 Then, in the middle of a paragraph, I just went insane and started typing random letters insanely fast. Think button-mashing. It was a little bit cathartic, to be honest. It made me feel like some kind of lightning-fast computer genius on a TV show. How do those people type so fast? I decided to give it a try. Since the results were so hilarious, I just kept trying. And trying. And trying. And in those wee hours of the morning, I thought it was so funny that I should take a screenshot. So I'm going to share it with you. As I first began, typing things like "I'm a Little Teapot" and "Jack and Jill Went Up the Hill," I found that my brain couldn't keep up with my insanely fast fingers. A lot of the right letters are present, but often in the wrong order. After trying a few more songs, rhymes, and tongue-twisters, I decided to try my school's fight song, wondering if something I'd sung many times over the last three years would be easier to type quickly. It sort of was. I typed the words of the fight song more accurately- at least accurately enough for spellcheck to recognize them and help me out. The most impressive thing about this is the amount of time I spent typing nonsense. Good grief.